BAKERSFIELD, Ca. — All the high school basketball teams are finishing out their regular seasons this week and beginning to turn their attention to playoffs. But first, league titles were up for grabs. 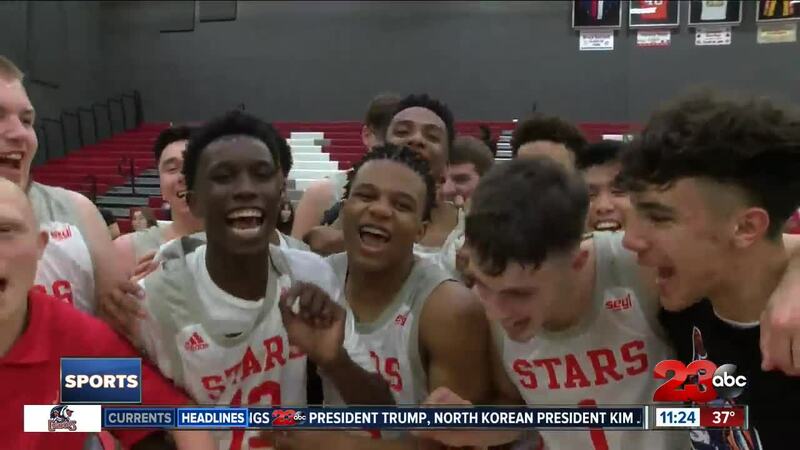 North High has been trailed by Foothill in the Southeast Yosemite League but on Wednesday night, the Stars claimed the league title with a 56-39 win over South. The team celebrated their title clinching night as fans surrounded them on the court.